This book focuses on issues that are relevant for the Euro-Mediterranean Partnership. The depth and the extension of the current political crisis in the area have changed the perspectives of conventional Euro-Mediterranean integration policies. The book provides the grounds for new patterns of analysis and addresses policy guidelines which are able to respond to the dramatic challenges that Mediterranean regions are facing. By implementing a multidisciplinary approach, the volume uncovers the structural determinants of migrations in the area: territorial and social imbalances, climate change, unemployment, weak institutions, poor governance, lack of efficient redistributive policies. 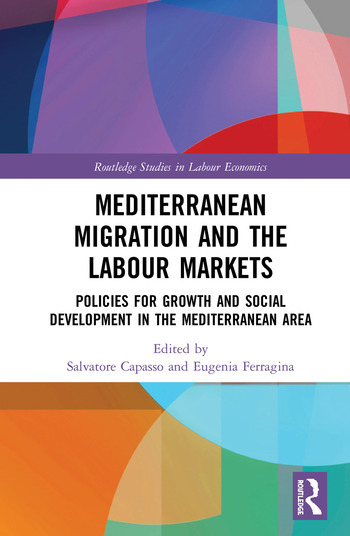 Each chapter proposes innovative and rich analyses of the socio-economic conditions of all Mediterranean countries. The prevailing evidence suggests that while the North-South imbalances still persist inside the basin, the recent world economic and financial crises have deepened social, intergenerational and gender inequalities. These inequalities cross all territories both nationally and internationally and affect the living conditions of large segments of population in Southern and Eastern Mediterranean countries. To bridge these gaps it is necessary to strengthen territorial cohesion, reduce income differentials, and improve the access of marginal areas to basic infrastructure. These long term goals can be achieved through an inclusive development model for which young people and women can enjoy the same opportunities of education and work. Offering innovative and practical guidelines for future programs and policies, this book is essential reading for policy makers, researchers at policy think tanks as well as academics and post graduate students of Mediterranean studies and Economic Policy. The general policy recipes, provided to govern migration flows, make useful reading for national and international research centres and major governmental agencies interested in migration issues. Salvatore Capasso is the director of the Institute of Studies on Mediterranean Societies and full professor of Economic Policy at the University of Naples Parthenope. His research interests are in the fields of Economic Development and Financial Economics. He is author of a large number of scientific publications in international journals. Eugenia Ferragina was first researcher at the Institute of Studies on Mediterranean Societies of the CNR and contract professor of Economics and Institutions of the Mediterranean countries at the University of Naples "L'Orientale". She is author of many publications in national and international journals.